Specific signs of abuse include the appearance of bed sores, dirty clothing, an inability to speak or communicate, depression, unexplained bleeding or abrasions, refusal of a nursing home facility to allow visitors to see the resident and withdrawal from family members and friends. If a loved one has suffered due to nursing home abuse, then family members can file a nursing home lawsuit on behalf of the injured loved one. The lawsuit may also be brought on behalf of the estate of a loved one who has passed away. Nursing home abuse can occur due to the negligent hiring of employees on a nursing home staff, an understaffed nursing home or simply the harmful intentions of employees on staff to engage in such abuse. Nursing home administrators have a duty of care to residents, and this duty of care includes carefully conducting background searches of all employees hired in the nursing home. In some instances, nursing home administrators are desperate to fill open employee spots and may overlook an employee’s past history of violence or abuse. Hiring unemployable individuals increases the likelihood that abuse will impact the residents currently in a nursing home facility. 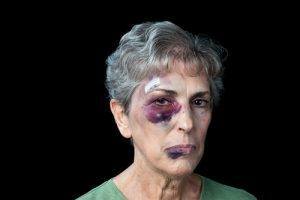 How Do I Report Nursing Home Abuse? If you suspect that a loved one has been the victim of abuse, then it is important for the loved one to receive immediate medical attention for any emotional or physical injuries. Most states have an Act that provides for emergency protection services of vulnerable adults when there abuse has occurred. Make sure that you carefully document each injury that a loved one has suffered with a doctor, physician or other medical professional. After you have recorded the injuries suffered by your loved one with a medical professional, it is important to report the abuse to local police authorities. Abuse of vulnerable adults in nursing homes is considered a crime, and it is considered a felony in many states too. When the police are notified about the abuse, they will be able to search a nursing home facility and gather evidence that can support your case. The police department can also question witnesses and begin identifying the staff members or administrators who may be charged with perpetrating this abuse. Also, you can get in touch with a nursing home abuse lawyer to help you with your nursing home abuse case. In addition to imposing criminal penalties for the abuse that has occurred, a court of law may be able to award damages for the injuries that your loved one has suffered. A nursing home abuse lawyer will research the facts of your case and determine the best course of action for your legal strategy. Like in many other states, residents of Virginia nursing homes fall down and injure themselves at an alarming rate. What might be even more shocking other than their frequency is their seriousness. Normally, these are not simple accidents but complicated incidents that involve serious injuries, significant bills, and changed lives. Why do they happen? Well, for all the normal reasons but also because nursing home residents are vulnerable. 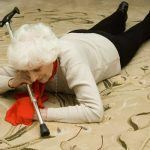 Falls might seem like one of the easiest forms of accidents to prevent in nursing homes but they are by far one of the most common. Also, they are one of the most expensive to correct. Whether it be from a chair or other service, residents fall down all the time and fracture bones, rack up bills, and endure suffering. To show you what kinds of fall incidents take place in these facilities and how residents were able to recover, we have summarized some Pennsylanvia nursing home lawsuits below for you to read that involved resident falls. Investment in Nursing Industry Seen as Lucrative. But at What Cost? It really doesn’t come as a surprise to most people to learn that seniors are representing a growing segment of the overall population. 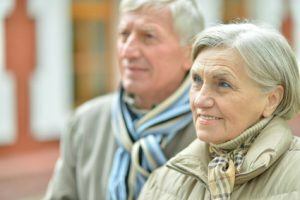 Current figures suggest that the number of elderly people living in the country may climb by about 50% in the next 15 years, however, and that by 2030; seniors will make up almost 20% of the total population across the United States. In response to this data, many private investors have seen a lucrative opportunity in the chance to jump into the nursing care industry as for profit corporations become nearly ubiquitous. Our nursing home abuse and neglect attorneys view this news with trepidation, on the other hand. Right now, the senior population comprises 13% of the populace, and this is already a large segment when considering the distribution of the population among all other age groups. Millions of Baby Boomers have either retired very recently or are on the cusp of doing so, which means they are entering a period of their lives where they will experience a steady decline in their health. Even despite persistent efforts by many seniors to continue to live their lives independently, it is often an inevitability that they will eventually require care and supervision through their family members or the services of an assisted living center. Life Care Centers of America (LCCA) are based out of Cleveland, TN and operate over 200 nursing homes and assisted care facilities across the U.S. They opened their first facility back in 1970 and have grown into one of the largest chains of nursing homes in the U.S.
LCCA owns and operates 200 facilities in 28 states. The majority of the western states have LCCA centers, including Hawaii, Washington, Idaho, Oregon, California and all the way south through Texas and New Mexico have locations. Many of the mid-eastern states have locations as well, with 26 locations in their home state of Tennessee, plus centers in Michigan, Ohio, and several other eastern states including the far south state of Florida. Golden Living has over 300 “Living Centers” in 21 states across the U.S. Touted as an award winning company of long-term care, they are happy to report that dozens of their facilities have received recognition for quality care in the past decade. They offer a variety of services up to and including long-term nursing care. Most of the 300 Golden Living Centers are in the Midwest and the eastern part of the U. S.witha few in California. The 21 states that have locations are Alabama, California, Georgia, Indiana, Kansas, Kentucky, Massachusetts, Maryland, Minnesota, Missouri, Mississippi, North Carolina, Nebraska, New Jersey, Ohio, Pennsylvania, South Dakota, Tennessee, Virginia, West Virginia and Wisconsin. For over 40 years, Extendicare has built its network of nursing homes and assisted living care into one of the largest of its kind in North America. With a total of over 244 facilities in Canada and in the U.S., they have over 26,000 residents in their care. 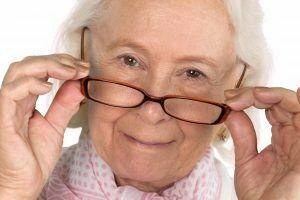 While primarily specializing in nursing care and assisted living, they also have other types of care facilities as well. In the U.S., Extendicare is its own indirect wholly owned subsidiary of the Canadian born company. Under the name Extendicare Health Services, Inc. (EHSI), they operate 160 senior care facilities in the U.S. with over 15,000 available beds. They have facilities in 12 states including Delaware, Idaho, Indiana, Kentucky, Michigan, Minnesota, Ohio, Oregon, Pennsylvania, Washington, West Virginia and Wisconsin. The majority of nursing homes are in Wisconsin, Indiana, Ohio, Oregon and Pennsylvania. When nursing abuse victims fear for their safety due to threats and repeated abuse; their anonymity can be the difference between reporting their plight to authorities and choosing to suffer in silence. Illinois has indicated in the past that it takes abuse very seriously and is one of the states in the country that still allows unlimited damage limits for those who sue because of mistreatment. For profit nursing corporations are seeking to insulate themselves by backing an Illinois bill that would remove the ability of those who complain to remain anonymous and our Chicago nursing home abuse attorneys agree with many opposed to the measure that the bill would only scare abuse victims into silence. Republican lawmakers are overwhelmingly in support of the nursing industry backed bill, which would require anyone who complains about nursing concerns to provide contact information. They would also be presented with a warning that they could be fined for submitting false complaints or deceptive claims. Considering all of the disadvantages for complainants, it is important also to understand the advantages that nursing homes would have if this measure ever became law. When families place a loved one in a nursing facility to receive quality health care, maintaining their safety and well-being in the loving environment is usually their biggest concern. However, to the nursing home, the level of care provided is often dictated by the cost of doing business, which is usually at the expense of the residents. 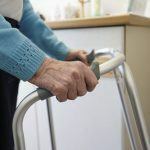 In recent years, the Connecticut Department of Public Health fined six individual nursing facilities when residents died or suffered serious injuries from numerous falls. 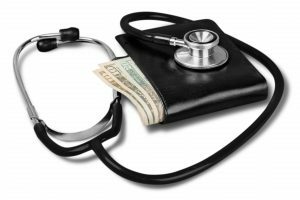 In September 2014 Avon Health Center in Avon, Connecticut was fined over $1000 because of falling incidents involving two residents. One incident involved a resident falling out of a mechanical lift sling in March 2014 when the clip broke, causing a broken bone at the base of the resident’s skull. The individual succumbed to their injuries six days later. As a result, the medical professionals at the facility were retrained to ensure proper use of the equipment. But just 11 days after that incident, another resident broke their wrist as the result of a fall when a nurse’s aide in charge of their care left the individual alone. Placing a loved one in the care of skilled nursing professionals has always been an overwhelming process where families are presented with stacks of papers and documents to sign, including a commonplace admission agreement. In many incidences, the family is only given the instruction to “just sign here” to have a loved one admitted into the nursing facility. However, if the U.S. Congress has its way, understanding the comprehensive arbitrary agreements in place to be admitted into nursing facilities may be getting easier. This is because a federal regulation proposal that was initiated in 2015 will require nursing facilities to explain arbitration agreements to resident candidates and family members so that everyone knows what they are signing before admittance. The proposal would also ensure that agreeing to arbitration between the resident and nursing facility would not be a requirement for admittance into the nursing home, but merely an option to handle unresolved disputes. Preying on the elderly is a common problem in every city in the United States, including in Las Vegas where predators often attack the most vulnerable members of society. 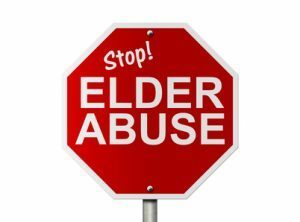 In November 2015, Clark County District Attorney Steve Wolfson met the problem head-on in an effort to keep every elder Nevadan citizen safe by developing and implementing a new unit with a specific focus on elder abuse. 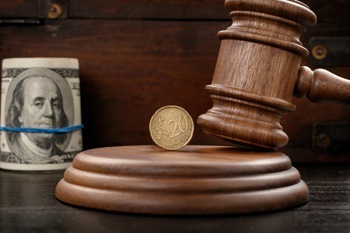 Fraud and theft cases are prevalent all across the United States, including in Nevada, where the elderly are taken advantage of and are often swindled of their much-needed minimal income. Abuse of the elderly is expected to grow exponentially in the decades ahead as the population of elderly individuals continues to grow because more and more baby boomers are retiring every day. In addition to physical and mental abuse, many elderly individuals are victims of financial abuse where predators defraud senior citizens through social engineering tactics by exploiting their family relationships, age and vulnerabilities.